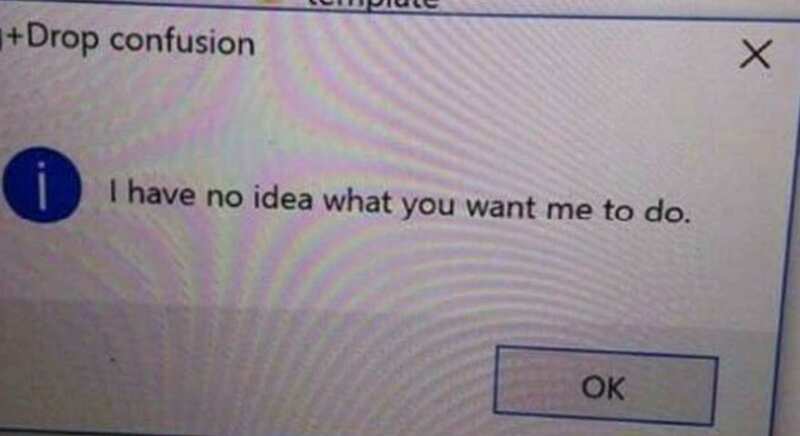 The Brief: An exploitable meme format uses an image of a computer error message that says "I have no idea what you want me to do." The expression “I have no idea what you want me to do” is a relatable statement in relation to social interactions in which one person is confused about the other’s desires. The first instance of this meme template we could find is one year old, from the “Software Gore” subreddit. A popular variation of this meme has been circulating on Reddit, gaining over 8,000 upvotes on the Dank Memes subreddit.